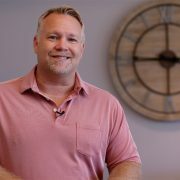 The Weekend with Dr Charles Lowery from Northside Church on Vimeo. It’s just a phase, don’t miss it! 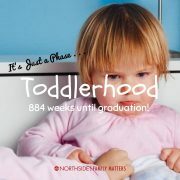 884 weeks until graduation . . .
What’s this phase all about? In the beginning, your baby is still very much a baby. Be ready, though. That won’t last much longer. Soon his nonsense babble will give way to actual words. If she hasn’t already, she’ll take that first step soon and babyproofing will take on a whole new meaning. During this phase, many toddlers find a new favorite word, “No!” She’ll be quick to let you know she can, “Do it myself!” Budding independence may lead to daily tantrums and meltdowns. You will be late multiple times over as you wait for her to dress or feed herself (and clean up the ensuing mess). You’ll find that these are the years when his physical ability to get into dangerous situations far outweighs his mental ability to recognize danger. You can’t take your eyes off of him during this phase. On top of all of this, most parents begin potty-training during this stage. In the midst of the chaos of toddlerhood, there are multiple blessings. Many of the sweet remnants of infancy are still hanging on. She might be highly independent one minute and a total cuddle-bug the next. Especially in the early months of this stage, many toddlers are still being fed and rocked at bedtime. You are still the center of their world and their favorite person. You may need to hold on during this phase, though. Change is continuous. The difference in a 12-month-old and a 36-month-old is huge. Don’t miss the blessings of all the different sub-phases during this time. How can you influence your child for God during this busy phase? The ways are numerous! Don’t stop with the ideas given in the Infancy Phase post. Especially during the first six months of this phase, your child is still very much a baby. As they continue growing mentally and physically during these months, they will begin to understand what you’re saying. During the later stages of this phase, they will begin to parrot back to you the stories you are sharing with them. Depending on their verbal abilities, some toddlers even begin to hold small, thoughtful discussions with you. They are most definitely able to begin learning the big, basic concepts such as God made me, God loves me, and God can do anything. Toddlers are sponges. 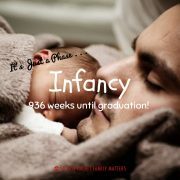 Article: It’s Just a Phase- Infancy (0-12 months) 936 weeks until graduation . . .
936 weeks until graduation . . .
What’s this phase all about? Sleeping, eating, sleeping, pooping, sleeping . . . you get it. The main goal of parents in this phase it to get baby to sleep through the night. Honestly, sometimes the physical demands are so great and the amount of sleep so small during this phase that brains become mush and not falling asleep while changing a diaper becomes the main goal. This may be the phase when you most need sleep, but this is also the phase when your child needs you more than they ever will again. They are absolutely helpless without you right now. In the midst of the sleep deprivation, diapers changes, and constant feedings, don’t miss the blessings of this phase. The tiny, warm body that burrows into yours, the first smile or laugh, the beginnings of personality making an appearance, the sweet smell of baby shampoo. Even the middle of the night feedings are a precious thing. If you don’t think so, wait until your 8 lb. baby boy is a 6’0” tall, 14-year-old who eats everything in the house. If you peek in his room at night, you might wish that just for a few more minutes he was that same sweet baby you cuddled and rocked at 2:00am. During this phase you are actually influencing your child for God just by your consistent availability and caretaking. Your infant is learning to trust you. In turn, that will allow him to learn to trust God later in life. Don’t miss the opportunities to begin verbalizing Scripture, prayers, and your thoughts and beliefs to your child. 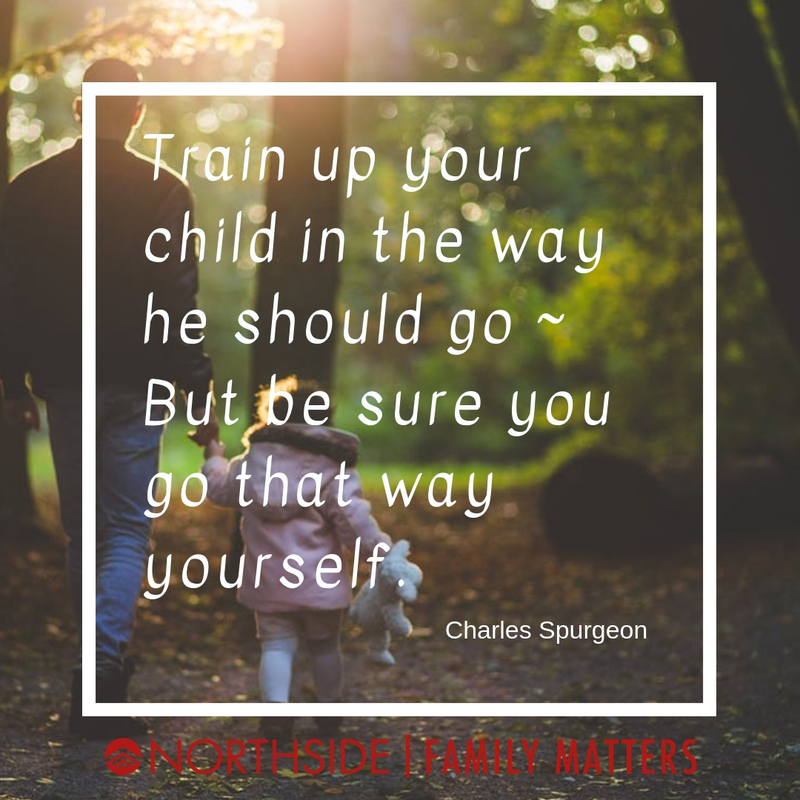 They may not absorb much information during that first year, but you will become accustomed to talking to your child about things of God on a consistent basis. You are laying a foundation now for those deep discussions with your teenager down the road. Pray over your child during those early morning feedings. Tell her stories during bath time. Walk outside with him and point out the beautiful world God has made. Begin influencing your child now. In a few years you’ll be so glad you did! 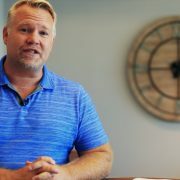 https://northsidebaptist.org/wp-content/uploads/2018/10/Infancy.jpg 1080 1080 Rich Cochran https://northsidebaptist.org/wp-content/uploads/2014/12/nslogo.png Rich Cochran2018-10-29 20:30:432018-10-30 16:45:54Article: It's Just a Phase- Infancy (0-12 months) 936 weeks until graduation . . .
How many times have you thought, “It’s just a phase!” or, maybe, “Please, let this just be a phase!”? Maybe your infant thinks 3:00am is great mommy-me time. Or, your preschooler asks “Why?” so many times your brain hurts. Maybe, your nine-year-old son tells so many groan-worthy jokes you could publish your own joke book. Or, your middle-school daughter rolls her eyes so often you wonder if it really is possible for them to get stuck! Phase: A time frame in a kid’s life when you can leverage distinctive opportunities to influence their future. Each phase has its own significant relationships, present realities and distinctive opportunities. Let me encourage you to begin to think about phases positively. Picture how you can leverage each of the above phases to influence your child. When you’re up in the middle of the night, take time to pray over your child. Tell Bible stories or remind them of the big truths of Scripture (God loves them, God loves them, God can do anything, etc.) This works while you’re sitting in the bathroom during that all-consuming potty-training phase, too! Be thankful your preschooler actually wants your opinion. That may not will not always be the case! Use your many conversations to pass along your beliefs and worldviews in an age appropriate way. Leverage that inquisitiveness! Applaud your joke-telling nine-year-old for having a big heart that likes to make people laugh. Brainstorm together about other ways he can use his big heart to make people smile and show them Jesus. And the eye-roller? Step back and determine what’s really up with her. Maybe she doesn’t feel heard. Maybe she thinks you’re out-of-touch with reality. Maybe she just wants her own way. Respond appropriately when disrespect is involved, but don’t forget she’s still yours to influence. Sometime, when she’s not rolling her eyes, take her out for a coffee date (just the two of you). Discuss her hopes and dreams for the future. Gently remind her that the way she treats people, including her family, will have a huge impact on her future and her witness for Christ. Your focused attention will matter, even if she doesn’t act like it. They typical child has around 936 weeks between birth and high school graduation. That’s a lot of phases! My oldest child just left for college this fall. Let me assure you the days (or phases) may seem long, but the years really do go by way too fast. 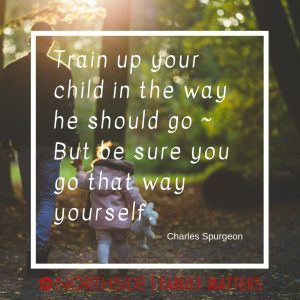 I am going to begin a series of posts covering different phases in your child’s life (birth-18) and how you can leverage those phases to influence your child and their walk with Christ. Stay tuned! 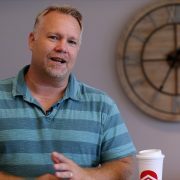 Video: What is Family Ministry at Northside? 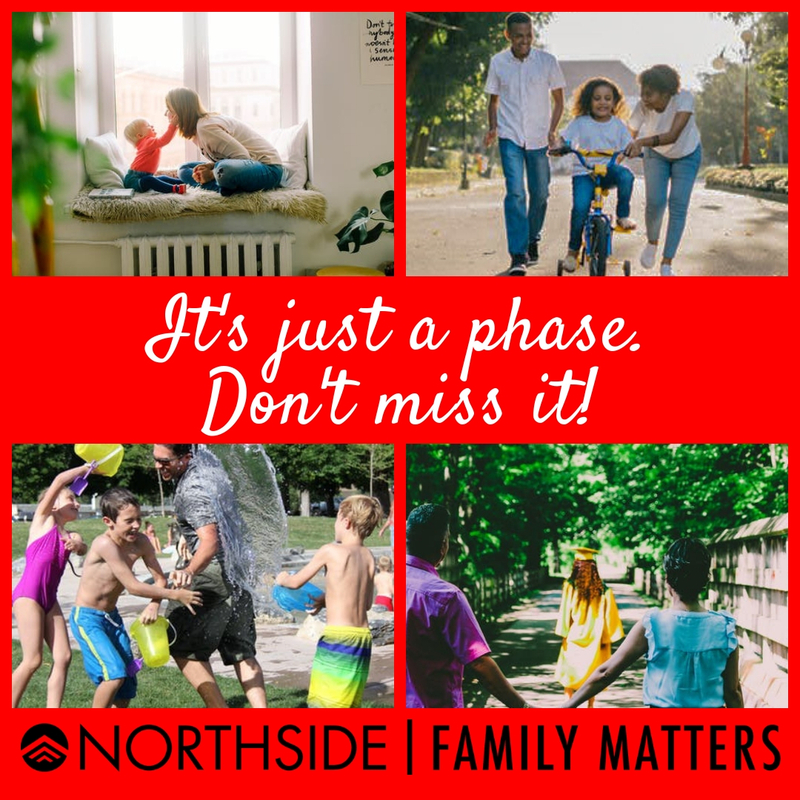 https://northsidebaptist.org/wp-content/uploads/2018/10/Family-Matters-thumbnail-1.jpg 2304 4096 Rich Cochran https://northsidebaptist.org/wp-content/uploads/2014/12/nslogo.png Rich Cochran2018-10-29 18:45:212018-10-29 20:27:19Video: What is Family Ministry at Northside?